The Chinese A-share market is a continued cause of attention due to its strong swings. 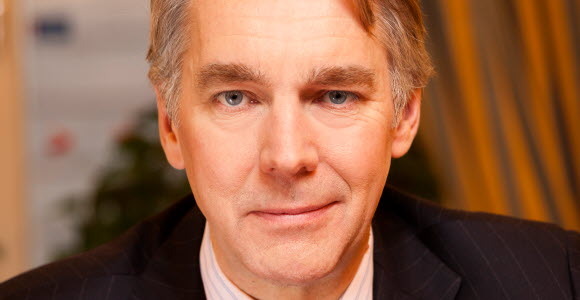 “This is not a major cause for concern regarding overall strategy but volatility always causes ripple effects on other markets and can create some nervousness,” says Hans Peterson, Global head of Asset Allocation at SEB. The A-share market is the restricted market used mainly by small private individual investors that have jumped on the equity roller coaster with limited experience and fresh risk appetite. The number or private individuals investing in A-shares is staggering but it is still a very limited part of the Chinese population. The surge in number of investors and available leverage, supported by official policies created a massive bubble and very high valuations. This is now correcting and the market will reach fair value at some point. “The valuation is still high, so we can expect some more volatility. The difference in valuation between the different markets is high and H-shares trading in Hong Kong are at very reasonable valuations. Most international investors are invested in other parts of the Chinese equity market and not affected by the A-share volatility, this goes for us as example,” Hans Peterson says. Will drop in values cause a setback for growth in China? Household savings in China are mainly concentrated to housing, savings in cash and bond like savings products and the overall savings ratio is high. Another factor is that the run up to the peak was very quick and is probably not factored in as an asset for the holders, a short period of bliss now replaced by a grim reality. Chinese growth is an important factor globally and the shift from investment driven growth to domestic and consumption growth is the important process to monitor and at present state that has not caused any major risk to global demand. This process is supported by policy measures that have been further strengthened the last month. “Forecast from the major institutions such as ourselves point to a continued growth at satisfactory levels. We will see slightly slower growth than before but managed and supported by government measures, Peterson says. From an overall strategy point of view the stability in US and European economies is more important as this carries investor expectations and risk appetite. “And on that topic we are confident,” Peterson says.